dbnAudile provide full illumination for the annual Manchester City Centre festive lights switch on, getting the pre-Christmas party in the north-west off to a rocking start. 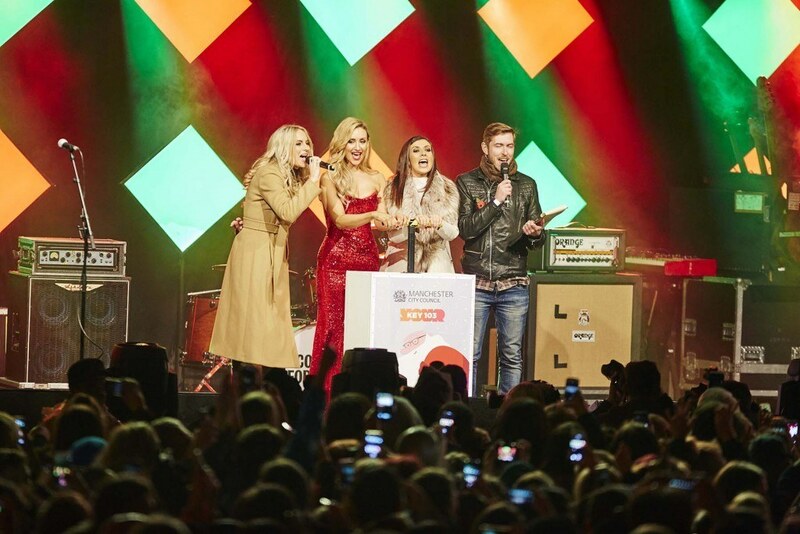 In 2015, the event was hosted by popular local radio station Key 103’s Debbie Mac with iconic long-running soap Coronation Street stars Kym Marsh and Catherine Tyldesley. 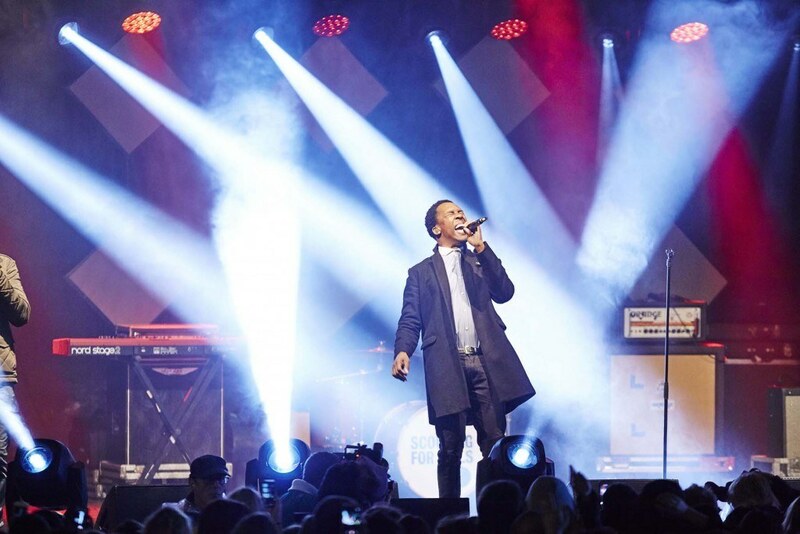 Record crowds – estimated at around 20,000 – were entertained by Scouting for Girls and Lemar, the casts of Cinderella and The Sound of Music, both currently playing in the city, together with a local choir. 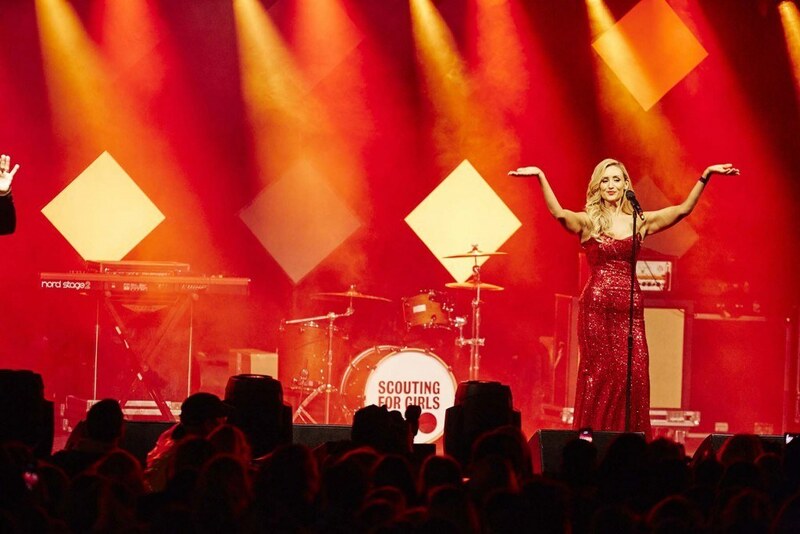 dbnAudile have been involved with the fun-filled event for the last 6 years and this year Nick Buckley once again designed the lighting and co-ordinated everything on site. The stage moved to a new position on the Princes Street side of Albert Square, right in front of the imposing Victorian Gothic architecture of Manchester Town Hall, which is now juxtaposed behind a gigantic scenic Father Christmas in the run up to the holidays! Audience lighting comprised 16 x SGM P5 LED floor fixtures strategically distributed around Albert Square mounted on frames that clamped to the masts of four well positioned lamp-posts. This rigging process was developed by dbnAudile as a quick and practical solution to get lighting units exactly where needed to have the right effect. Working alongside Nick were dbnAudile’s crew of Moss Everhard, Andy Pole, and Eddie Marriot. “It was great to work on another switch-on. This was one of the best yet according to social media chatter, and will go a long way to helping Manchester maintain its reputation for being THE festive capital of the UK!"